Rap artist and social media influencer, Kanye West, has recently been receiving a lot of backlash lately for comments he made on twitter about slavery. The tweets, which read “When you hear about slavery for 400 years . . . For 400 years? That sounds like a choice. You were there for 400 years, and it’s all of y’all. It’s like we’re mentally imprisoned.” A false Harriet Tubman quote which reads, “I freed a thousand slaves. I could have freed a thousand more if only they knew they were slaves.” People have taken to their own social medias to show disdain for the tweets, starting the trend #IfSlaveryWasAChoice. With captions like “Me and my friends roasting Massa in the back of Cotton Picking 101 classroom” clearly show that people find the situation funny but also find the comment West made disrespectful. 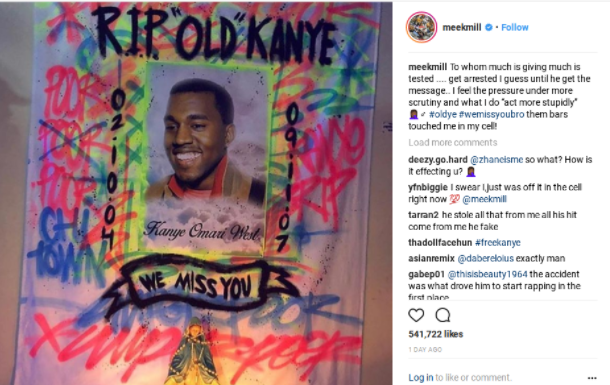 Even other celebrities like John Legend and Meek Mills have showed Kanye just how they feel.